Depending on the business you are in, lighting can account for more than 50% of your total energy use, as your most likely using your lights daily, month after month you can imagine that this can all really add up and using old technology and equipment is the main cause of huge unnecessary electricity bills. Taking advantage of Conservergy’s energy efficient lighting solutions, could be saving you up to 80% on your electricity and lighting costs. Following our simple three step process, our energy saving specialists will guide on your journey to saving thousands of dollars on your commercial or industrial lighting. 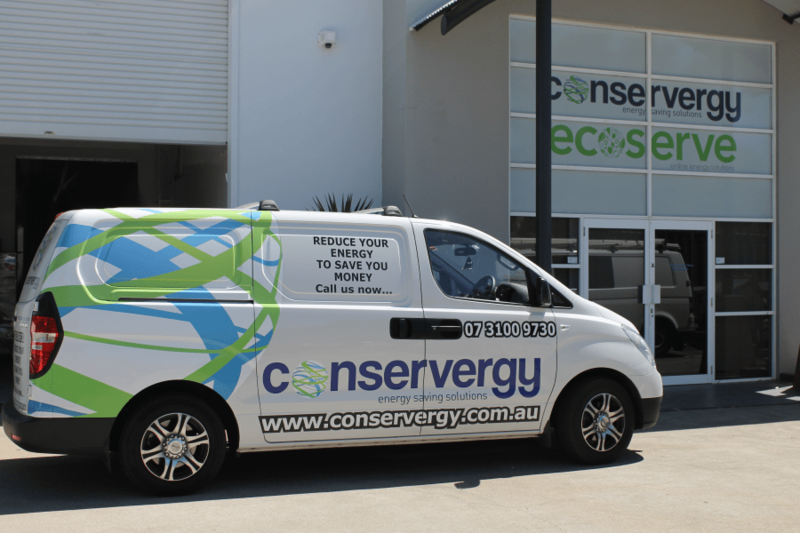 Conservergy is a team of highly knowledgeable, qualified personnel and more importantly, accredited master electricians. Our foundations are built on more than 30 years of technical knowledge and our goal is simple—we help small to medium sized businesses reduce energy and save money. As a team of energy saving specialists, with more than 30 years of experience behind us within the electrical market, we are focused on assisting you, our valued clients in improving your bottom line through energy saving solutions and initiatives while staying in the forefront of leading-edge technology. “Receive your savings or we will pay the difference*”. Our valued clients will tell the story. Free energy saving audit and consultation. Clear, easy to understand audit results. 3 – 5 Year warranty. A unique range of specialised products. We will arrange a mutually agreed installation date. You speak to the Sales Manager directly. Our team of installers are fully qualified, accredited master electricians and all hold blue card licences. Most installations are completed in one – two days. Free after installation assistance if necessary. Receive your savings or Conservergy will pay the difference*. Our portfolio of completed energy saving lighting installations throughout the Brisbane area.